There is a never-ending conflict between two sides of the salvation discussion. One side, often labeled as “cheap grace,” focuses solely on the “believe, believe,” paradigm of thinking, where all the emphasis is on what Jesus has done for us apart from anything we do. The other side, often labeled as “legalistic,” focuses a great deal on what we do. Very few on this side ever explicitly say that we’re saved by our works, but they insist that works do have a part to play in the saving process – that sanctification is necessary for salvation. And, boy, it’s hard concluding, based on what they spend most of their time talking about, that they don’t believe that their works save them. Both sides, to some extent, are trying to find assurance. Assurance comes for the first group completely in Christ’s saving work on the cross. Assurance comes for the second group in feeling good about one’s own works. 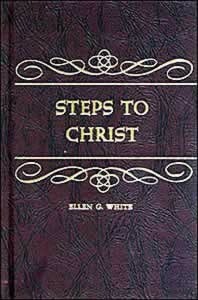 I’m so thankful that Ellen White is balanced. “Our only ground of hope,” she starts, speaking to our precise desire for assurance, “is in the righteousness of Christ imputed to us.” Take note: this is an act accomplished by Christ outside of us. It places the focus on Christ’s work, on His death, and the forgiveness granted to us apart from anything we do. It takes away our ability to boast – and even our desire to do so. It undercuts our disposition to try to save ourselves by ourselves. It places our hope, our joy, our security, in Christ. We are not saved, nor is our assurance based upon, our works or how holy we perceive ourselves to be. It undermines legalism. Did you catch that? Our only ground of hope is not simply in what Christ does outside of us. It’s not a simple matter of saying, “Oh, yeah, I believe in what Jesus has done for me; now I have assurance. And if I become a better person over time, that’s pretty cool.” When Christ imputes His righteousness to us, the Holy Spirit also seeks to work it through us. In other words, the person that is truly living by faith will bear fruits that reflect this faith, this surrender, this repentance. Thus, Ellen White – in keeping with the Bible – guards us against both extremes. She guards us against false security on either end of the spectrum – either through focusing exclusively on what Christ did for me on the cross, or through focusing primarily on what I do for Christ on my knees. But how can there be dual aspects of assurance? Doesn’t it have to be either one or the other? If the second part – what the Holy Spirit does through me – is a part of the equation, doesn’t this automatically undermine anything Christ did for me? Not according to Ellen White and the Bible. To use a simple analogy: I rest in the assurance of my wife’s love, simply because I know she loves me, apart from anything I might do or not do. Yet, at the same time, I do not have complete peace if her love is not finding an echo in mine. So, too, with our relationship with God. We can have peace and joy knowing that He loves us, that He died for us, that He forgives us; yet we cannot have true peace if our hearts are not surrendered to Him and that love is not reciprocated. At the same time, we cannot truly feel secure if we focus on personal surrender and works yet don’t recognize His love and forgiveness, apart from anything we do. Thus, our only hope is in Christ – and Christ in us.